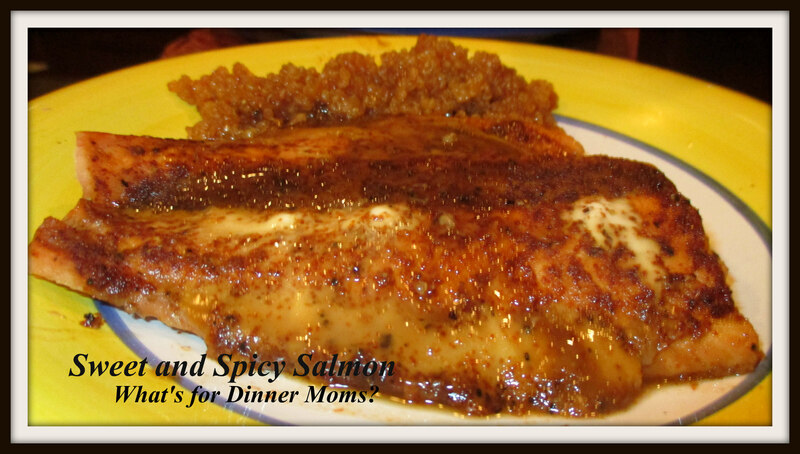 Sweet and Spicy Salmon – What's for Dinner Moms? I have been reading quite a bit about the troubles students are having in college. Students are increasingly seeking out counseling services for depression and anxiety. Colleges are having meetings and strategy planning sessions to try to figure out how to deal with the increase needed in counseling and mental health services. Teachers in college are increasing reporting that they are afraid to give Cs for fear of backlash or being sued. They are getting emails and phone calls from parents asking about their children’s grades and questioning the teachers qualifications and teaching style. The colleges are trying to figure out why? Is it helicopter parenting taken too far? Are we holding our children back into a form of stunted adolescence until they are in college? The more I thought about this the more I love my daughter being in online school. By the time the students are in high school they are expected to be the ones communicating with their teachers when problems arise such as asking questions about grades, tests and homework. Last year and a little bit this year I had to guide my daughter in emailing her teachers, I did not write the emails for her, but rather suggested ways to word things when she had a problem. I would get an eye-roll when I suggested she had to ask her teachers before asking me but in the end she knew I was right in having her do this. This year she has control as I watch from the side lines. She is in 10th grade this year. I shouldn’t be over her shoulder checking every move she makes but rather be a resource when she has exhausted her other options and isn’t sure what to do. As I watch her become more and more independent in taking control of her schooling I know she will succeed in college and be able to take the bumps along the way in stride. And, I don’t have a transition into salmon other than this is what she chose for dinner the other night. What can I say? I need to cook salmon more often. We all enjoy eating it and it is so good for us. If I keep trying to make it with different recipes such as this I could easily serve it 3-4 times a month and no one would mind. This was a delicious recipe. It is so simple too. The sweetness from the brown sugar and the bit of heat from the chili powder was a perfect combination. The fish was light and tasty. How simple! I served this dish with a Quinoa salad side and a green salad. This meal was completely gluten-free as I used gluten-free soy sauce in the Quinoa salad. If fish is frozen, thaw and pat dry. Preheat oven to 400 degrees. Line a rimmed baking sheet with aluminum foil. Place salmon on the foil. Mix the brown sugar, chili powder, salt and pepper together in a small bowl. Pat the topping onto the salmon. Bake 10-15 minutes until done. Do not over cook. Brown Sugarchili powderdinnereasyQuinoaQuinoa SaladRecipeSalmonSweet and SpicyWhat's for Dinner Moms? I was surprised by the beginning when I was waiting for a Salmon recipe, and it was wonderful! I really think online can be great. My kids have done home school, online, saudi school and now school here! So a wide variety, as you said yes it does help kids to learn communication skills! I loved the post very interesting and then an awesome recipe! unique and nice post! Thank you. I need to work on a new title I think because it is more than dinner. It is food, life and my musings. I liked it allot, I was surprised and it was refreshing and I was hooked! I’m definitely going to try out this recipe! I love the stories with the recipes because it’s sharing your experiences as a mom. Thank you! Food is part of our lives that tie in to so many things but this one was just my random thoughts so thank you. This recipe looks so easy and delicious!